I usually have 2 deodorants in my body care kit so that I don’t get bored with one J. 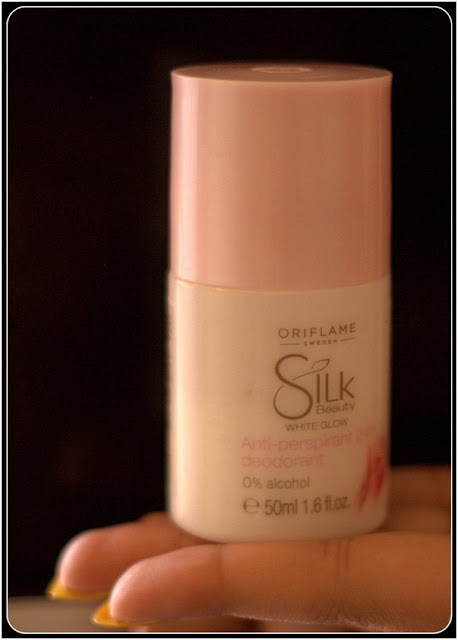 Few weeks back I was on a hunt of a replacement of one of my deodorants and considering my past experience with the night cream (reviewed here) I thought of trying something from Oriflame. I got a product catalogue from my parlour lady and she also told me about the various offers going on that month. 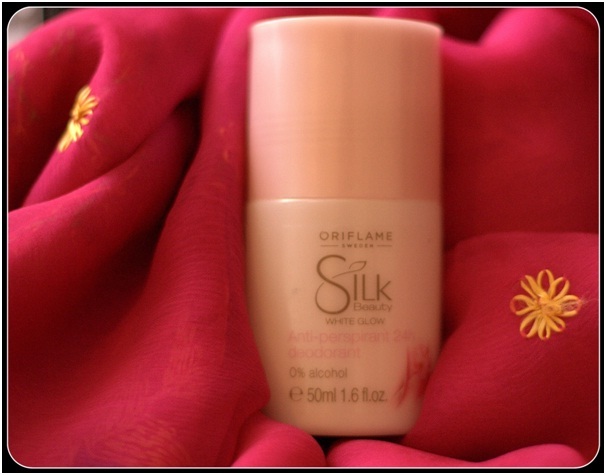 I noticed their Silk Beauty collection and a very nice summery looking White Glow APD and bought it. 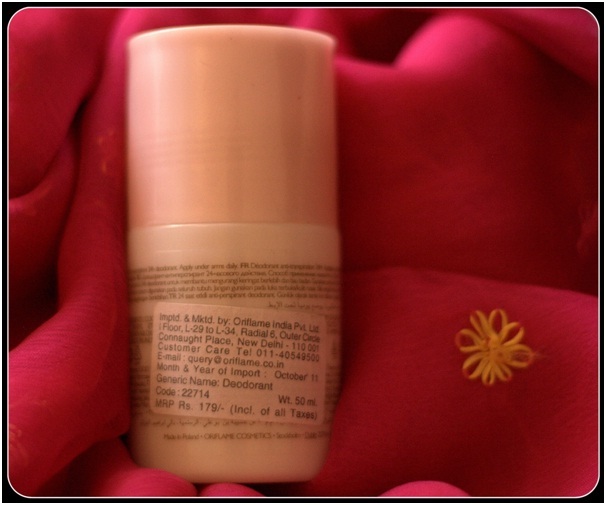 Packaging: It is a roll on deo that comes in small cream-ish plastic bottle with a dull peach-ish pink plastic cover. Application/Usage: Just glide onto your underarms; 1-2 strokes are enough for me. 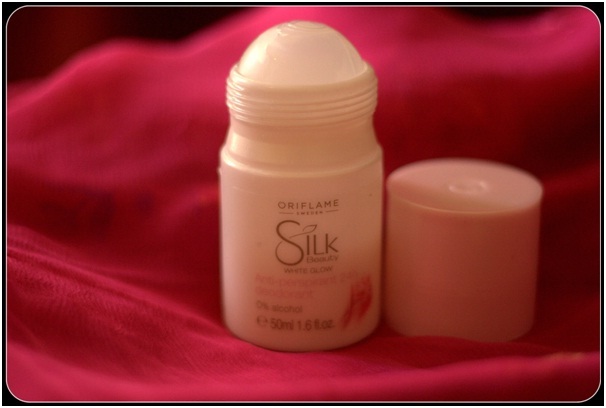 My take on Oriflame Silk Beauty White Glow APD: It is a usual roll-on deo. It took me sometime before I started liking it, because I didn’t like its fragrance much. It has a slight woody fragrance (unable to give a better description, sorry). But soon when I was over the fragrance, I liked this deo for its ani-perspirant effects and its long lasting nature. Can’t say much about their 24hr claim, but it really lasts for 8-10 hours. When all's said and done, it is a good alcohol-free APD. · Fragrance is little strong for me. Personally I don’t like deos that have a strong fragrance; I use deos for their anti-perspirant nature and not as a perfume. · Availability could be a challenge; not really available on online shopping websites, shopping malls, general stores, outlets. You have to find an Oriflame rep to order this. Conclusion: It is an average sort of product; nothing fancy and nothing too bad. I won’t really recommend this and won’t buy this again due to the fragrance (might sound little finicky :-P). Which deo are you currently using?? I have been using this product for about three months now.. I sincerely think its a great product. For those of you who have dark underarms, this product definitely helps you clear the dark pigmentation in a 2 weeks..!